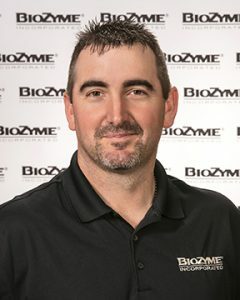 Alan Lee, Gillham, Ark., has been promoted to Director of Domestic Business Development at BioZyme® Inc., with headquarters in Saint Joseph, Mo. He most recently served as Director of National Sales in the Southern region. In his new role, Lee will lead several teams including the domestic sales, business development, and sales coaching. He will lead sales domestically including building relationships with key partners. “Alan is a leader full of passion, compassion and integrity. He has used these traits to grow and support our amazing team and will be an important part of our very exciting future in the additive space,” said Lisa Norton, President and Chief Operating Officer at BioZyme. As the company grows its additive business, Lee will be instrumental in leading the charge in helping the sales team develop sales strategies for additives in addition to the supplements that so many customers currently know and enjoy. In addition to helping building relationships with key business partners, he will continue to expand new partnerships. Lee’s passion for the livestock industry and its people started early in life. He earned a bachelor’s degree in Animal Science from the University of Arkansas and was on the livestock judging team both there and at Eastern Oklahoma State College. He completed the Arkansas Cattlemen’s Association’s Young Cattlemen’s Leadership Course in 2016. Lee has been on the Sevier County Farm Bureau Board, and during his four years on the board served as secretary and vice-president and was on the scholarship committee. He and his wife Christy were also recognized as the top two in the Young Farmers and Rancher Excellence in Ag Award at the State Level. After college he worked for the University of Arkansas Cooperative Extension Service, and then worked in a variety of sales positions before joining BioZyme in 2012, where he has been a major part of the significant growth of the company. This is his third promotion since he joined the company six years ago.